NEW research from Accenture has identified 40 workplace factors that create a culture of equality — including 14 factors that matter the most. The research, published in the company’s “Getting to Equal 2018” report, details the most-effective actions that business leaders can take to accelerate advancement and help close the gender pay gap. The research is based on a survey of more than 22,000 working men and women in 34 countries — over 700 in Malaysia — to measure their perception of factors that contribute to their workplace cultures. The survey was supplemented with in-depth interviews and a detailed analysis of published data on a range of workforce issues. “Our research shows that in companies with cultures that include the workplace factors that help women advance, men thrive too, and we all advance together,” said Nicole Lee (pic, right), Technology Delivery lead, associate director, Accenture – Malaysia. 98% of employees are satisfied with their career progression. 99% of employees aspire to get promoted. 100% aspire to become senior leaders in their organisations. 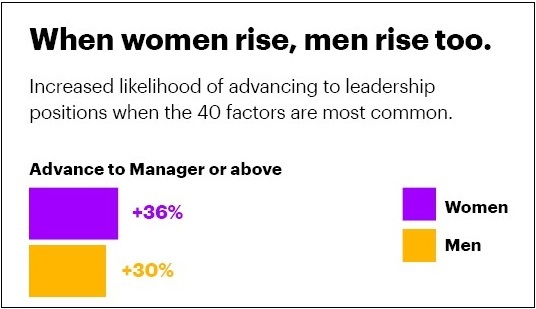 Women are 36% more likely to advance to manager or above. Men are 30% more likely to advance to manager or above. 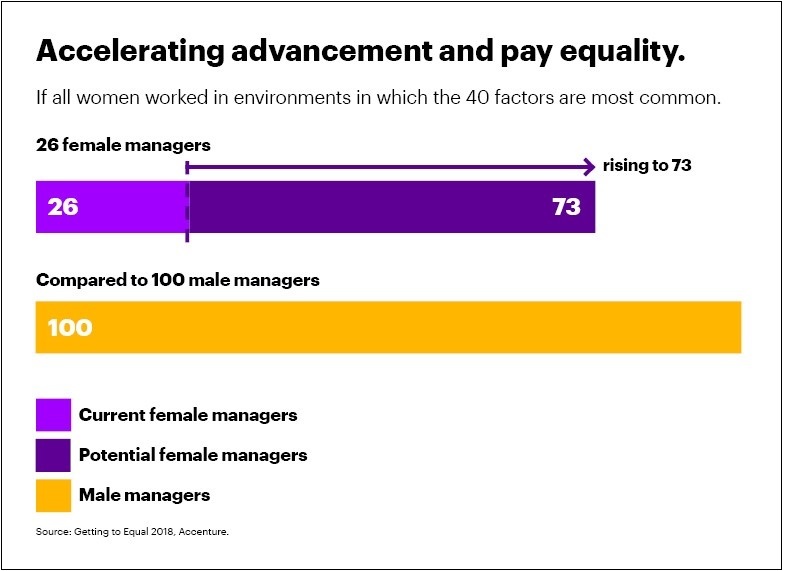 For every 100 male managers, there could be as many as 73 female managers, up from the current ratio of 100 to 26. Women’s annual pay could potentially increase by 48%, or up to an additional U$9,842 per year. Women could earn US$79 for every US$100 a man earns, helping to close the pay gap and lifting women’s total earnings by US$4.9 billion nationwide. Setting clear diversity targets, the research found, is a crucial step for leaders who want to strengthen their cultures. “Culture is set from the top, so if women are to advance, gender equality must be a strategic priority for the C-suite,” said Ellyn Shook, Accenture’s chief leadership and human resources officer. Bold leadership: Up to 71% of fast track women work for organisations that have set diversity targets. Comprehensive action: Involvement in a women’s network corresponds to women’s advancement, but up to 34% of the women surveyed work for organisations without such a network. In companies that do have a women’s network, six in 10 women (62%) participate, with half (50%) of those women being in a women’s network that also includes men. 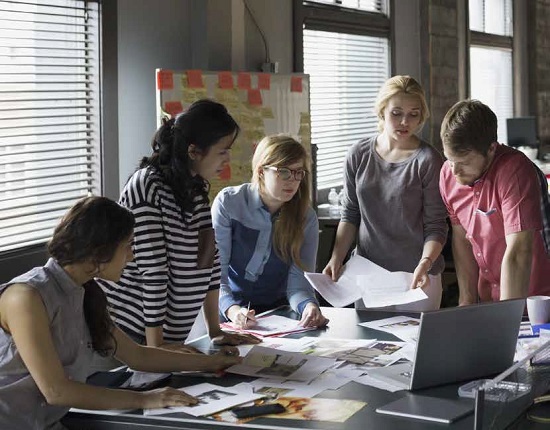 An empowering environment: Among the factors linked to advancement are not asking employees to conform to a dress or appearance code, and giving employees the responsibility and freedom to be innovative and creative. Read the global report here: Getting to Equal 2018.